What little boy doesn't love tractors and trucks? 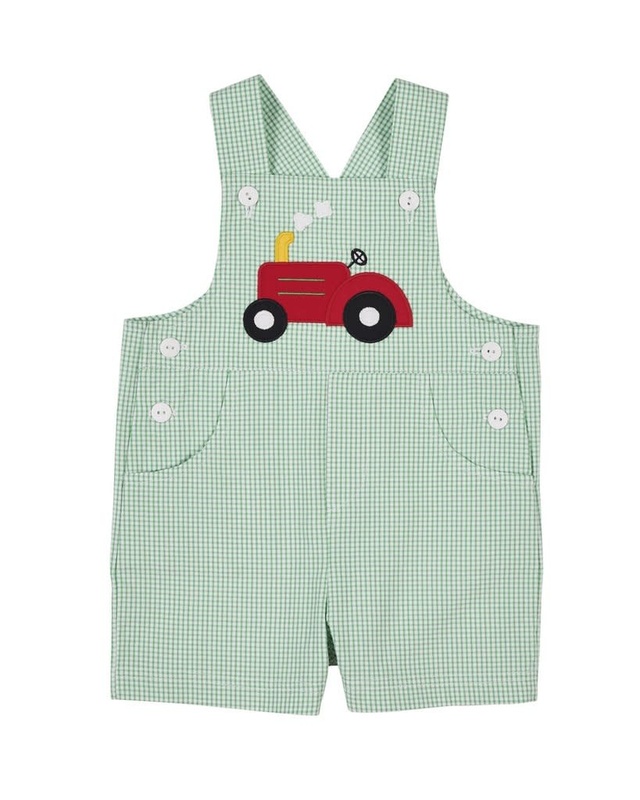 Florence Eiseman's green check shortall is appliqued in classic Eiseman style. Extra button extensions for growth spurts will allow him to wear his outfit just a little longer too.